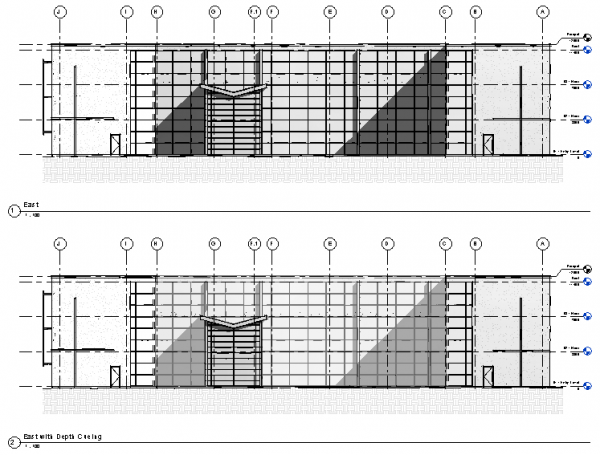 Many Revit users want to fade far objects in elevation view. There are a couple of workarounds, like overriding the graphic properties like in our article here. The other workaround is by creating two views and join them in the sheet. 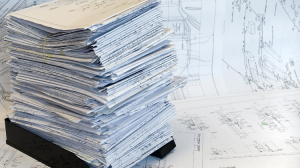 In Revit 2017 it would be much easier. Autodesk added depth cueing in Revit 2017. This image below is the difference between view without depth cueing and with depth cueing. You can activate depth cueing from Graphic Display Options. Click the Visual Styles button below the view window and choose it from the list. Click the arrow near Depth Cueing category to see the options. Check Show Depth Options to turn on this option. You can move the slider to change the effect. 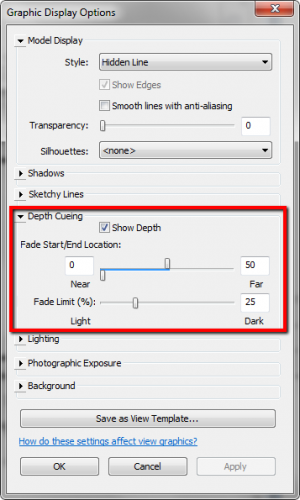 Fade Start/End location defines the boundary where the objects start to fade. And you can set the intensity of the objects shown using Fade Limit. You may need to try different values to get the desired effect. Finally, Revit has this feature. 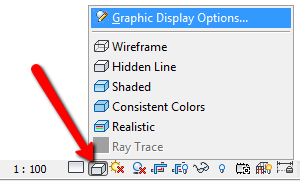 I believe many Revit users, especially architects, who want this feature for years. Unfortunately, the option is only to fade the color; it won’t make far objects thinner. I know architects who draw distant objects with a very thin line but use black color. I know they would want that!